Over the last few months, I have been carrying out research for Tony Hoskins, regarding the Spitfire AA810 Project, which involved tracing living relatives of a number of WW2 RAF Pilots which then led to me researching Family History for the Granddaughter of one of those men. I contacted Ann through her website having read the testimonials of others she had helped previously. Rather than asking her to trace family military history, I wanted her to do the process in reverse. I knew the military history of a number of men of different nationalities, but wanted to find the living relatives, and Ann didn’t disappoint! Ann was very thorough, and her search took her to many different countries, all with success. I would not hesitate in recommending Ann, and indeed have done so to a few of my colleagues embarking on similar research. Ann’s input to my project has ensured that the book I am writing to accompany the project will include so much more personal detail of these untold stories. Ann Swabey came in to my life when she found me for Tony Hoskins when researching his Spitfire Project. 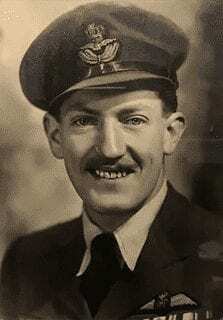 My grandfather EDL Lee was one of the pilots and the only one Tony had not tracked down. And not so simple a job as Edward Lee was my actually, though he and I would never have said that, my step-grandfather. Tony’s letter awakened a huge amount of curiosity in me, for the first time, about my grandparents and, crucially, my blood grandfather about who I knew absolutely nothing. Recognising the amazing job she did to find me, I asked her to undertake some research work for me. And she’s as amazing as I’d expected, and been told to expect by Tony. She has not only researched births, deaths and marriages going generations back but also helped me, with photographs, detail and newspaper cuttings going back over a century. More than any of this she has helped me to colour in the past, finding rich detail and joining me wholeheartedly on my amazing journey into the past. Ann is doggedly tenacious, meticulous, incredibly speedy and ever enthusiastic. She treats my ancestors like people rather than dates and documents and her work has brought me a peace I didn’t know I needed. I have been working as a Professional Military and Family History Researcher for around 12 years. My research on my own family history means that I have become very knowledgeable about sources, how to interpret records and how to approach problems which led me to offer a Family History research service to others, which I continue to do. If you would like to be kept up to date on my services & interesting research finds of note, please sign up to my newsletter.